I want to make a spiritual point about our present political debâcle, and I’m going to try very hard to make it in a non-contentious way, as it isn’t a particularly pro-Leave or pro-Remain point (it’s a pro-God point). 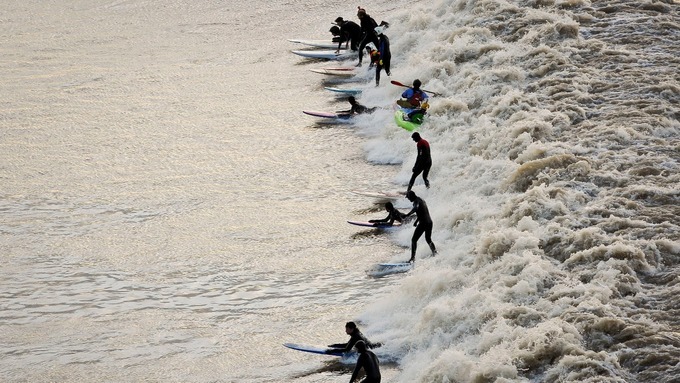 The other day we went up to Newnham early on a Friday morning to see the Severn bore, which was fascinating. I grew up on a tidal estuary, and have spent the last fifteen years on an island that gets cut off by high tides, so I am very familiar with tidal movements. Yet the bore was something surprisingly different. What most struck me was the rapidity of change in the currents. Whilst waiting for the bore to arrive, I watched various surfers and canoeists paddling placidly downstream being propelled at a great pace by the river current. Once the bore had arrived, those very same people were being propelled at equally great pace in the opposite direction. Some particularly skilled people were able to ride the new currents and enjoy the process. Others were caught up and knocked off. Which seems to be to be a good description of the present Westminster mess – although I am probably overstating the number of ‘particularly skilled people’ there. Whatever the rights and wrongs of Brexit, it is undoubtedly a massive political phenomenon that has radically changed the environment within which politicians work. Those who can adapt best to the new situation will be the ones that thrive in the coming years. So why is this a pro-God point? Simply because when something this large happens, overwhelming the established consensus of the great and the good, then I think we need to use a larger language to describe it – a religious language – and to talk about ‘Acts of God’. If nothing else, it has at least shaken the confidence of our political class, and the cultivation of humility in the light of incompetence is a salutary and – potentially – spiritually beneficial thing. I rather think that whoever is best able to navigate the new political currents stands to reap immense benefits – but such a person would need to have not just political nous but religious (spiritual/ currents) nous as well. It needs to be someone with the capacity to call upon God to lead us, rather than resting on human strength alone. I have no idea who that might be at the moment, so I’ll keep praying, for all of them, on all sides. Please do so too – they are so in need of our prayers! This is an important question, from many different points of view. We need to consider who bakes the bricks from an economic perspective, from a practical and social justice perspective, from the perspective of gender roles and unconscious bias. The question of who bakes the bricks becomes all the more important when the people as a whole are asked to bake more bricks with less straw. Yet at that sort of time, there might be a more urgent question than who bakes the bricks. There might be a calling from someone named Moses, or his brother Aaron, saying ‘set my people free’. There might be an almighty – even an Almighty – struggle going on between the establishment powers and the insurgent powers. The question of who bakes the bricks, which is an important question, might have to take second place to an even more important question, which is: where shall we bake the bricks? Shall we bake the bricks in the promised land? The people cry out for relief, for they struggle under the weight of oppression, and their existing leaders are comfortable with the status quo. So strange leaders come among them, who do not have impeccable credentials, one might even be a murderer. Yet the Lord is with them. They are aware that the Lord has decided to liberate his people, he has heard their crying unto Heaven and now look! He is doing a new thing. Those who argue about the baking of bricks do not know what to make of this. They are trapped within the Royal Consciousness, and the world made by Pharaoh is the only world that they can conceive of. They cannot see the new thing that the Lord is doing. They do know what to do about bricks, though. So they concentrate their time on arguing about the production of bricks, for this too is an important question and it is important to get the right answer. Perhaps we can lead the Hebrews to a new place just outside the city walls, and continue to contribute to the baking of bricks from there? Would that be alright please, Mr Pharaoh? Where shall we bake the bricks? The church wrings its hands over Brexit, and seeks earnestly and sincerely for the overcoming of divisions and the reconciliation between estranged parties. If only we could be nicer then perhaps that nice Mr Pharaoh and that mostly nice (but a bit uncouth) Mr Moses can come together in a happy compromise…. Meanwhile the Lord Almighty changes the world and asks those who truly respond to His will to daub the frames of their doors with blood and to get ready to move at short notice. We in the church have so many great and important questions to wrestle with, questions of justice and economy and sexuality and gender, and these truly are important questions. Yet sometimes what is most important is not to resolve questions such as these but rather to simply listen and pay attention and seek to discern what God is actually doing in a time such as this. Were we to do this, were we to look up from our parochial concerns and truly take in the newly forming vision for our national life together then perhaps we might agree to not resolve the questions around the baking of bricks for a year or three in order to stride forward with faith into the wilderness, not turning to look behind. Hear the word of the Lord you peoples of the United Kingdom, for these dry bones shall live again. The Lord is going to destroy Pharaoh and all his works – we have only to stand aside and be still. I ask because it seems that there is a consistent pattern of people seeking one outcome and by their actions precipitating precisely the opposite outcome. It begins with David Cameron seeking to lance the boil of Conservative divisions over Europe by calling the EU referendum, the result of which has been to bring the Conservative party to the brink of a formal split. It then moves to Gina Miller, who took the government to court, insisting that Parliament had to be involved in invoking the Article 50 procedure for leaving the EU. As a result of this, the departure from the EU is much more thoroughly embedded than if it had simply been a matter of government fiat. Then there is Theresa May herself, who called an early general election when supremely ahead in the polls, but whose disastrous campaign leadership led to the elimination of her majority. What of the ERG? By bringing about a no-confidence vote in her leadership, they have ensured that Theresa May is untouchable through the most crucial months of decision making. So that is my musing about Brexit at the moment – there is nothing that can be done to stop it, there are far greater forces at work than we seem to be aware of, and God has a plan. But what is really going to bake your noodle is that all the above is UK-centric. The envoys of the Commission are intent on punishing the UK and making an example of us, in order to ensure that the EU is strengthened and sustained on its path to becoming a single state. Time to start counting the days until the existing EU has collapsed then. I give it less than three years. A most interesting little snippet: people identify much more strongly with Leave or Remain than with traditional party affiliations, and this has surprising consequences. According to a recent survey only 9% of Leavers would object if their child married a Remainer, but 37% of Remainers would object if their child married a Leaver! I would like to work towards a reconciliation between the two factions into which our country has been divided. Theologically, reconciliation is the fruit of forgiveness and repentance – forgiveness from the one who has been hurt, and repentance from the one who has done the hurting. Of course, at the moment there is not even agreement on what counts as ‘hurt’ – I think there are many things that count – so perhaps the priority is to ensure that there is a careful delineation of differences, so that we actually gain some clarity over what it is that divides us. A good principle in argument is that criticisms of a position have most effect if you have first demonstrated that you understand that position in terms that the advocate of that position would accept as a true account. In other words, to criticise Remain requires Leavers to articulate the Remain position in such a way that Remainers say ‘yes, that is what we think’. This is best done in an iterative fashion – an attempt to articulate it is made by a Leaver, and the Remainer then comments yes or no to the various elements, the Leaver adapts the articulation in response, until there is agreement between both sides as to what the Remain position is. The Remain position views the European Union as a force for good in the world. It sees the legacy of the repeated conflicts between European nations, most especially in the twentieth century, as a tragedy, and the development of the European Union as the foundation of peace in Europe that ensures that such conflicts do not recur. The enhanced friendship between nations that the European Union allows for is well expressed through the ability of all citizens within the Union to move freely between the members states of the Union. The Union upholds excellent standards in human rights, workers rights and environmental protection. In addition, the economic aspects of the Union underpin the wealth that we enjoy. To discard these benefits by Leaving is an act of financial folly and cultural self-harm that we will regret for decades. For Remain, being a member of the European Union is a significant part of their personal identity, and a source of pride. I don’t see that as an exhaustive summary of the Remain position, but I hope I’ve captured the key points – and I invite any and all comments to enable that presentation to improve. It is not an ignoble position to hold, and there are many values within it that I would wish to affirm, especially the importance of friendship across national boundaries. I would also invite those who wish to understand the Leave position to carry out a similar exercise, and to help that process I would like to recommend several books. The first is Jonathan Haidt’s ‘The Righteous Mind’, subtitled ‘why good people disagree about religion and politics’. Haidt argues that those who hold to a more ‘progressive’ perspective – what we would call left wing – recognise two sources of moral value, those being care (do no harm to people) and fairness (treat people equally). In contrast, those who hold to a more conservative position also value three other sources of moral value, loyalty (do not betray your group), authority (respect for traditions) and sanctity (recognise what is holy and reject what is disgusting). The key element for the Remain/Leave dialogue is that the two sides give different weight to what it means to be British. Which leads to the second recommendation, Linda Colley’s book ‘Britons’. This is a very readable work of historical analysis, that outlines how the British sense of national identity became formed against the ‘other’ of continental Europe, starting with the religious division against the papacy in Rome, but incorporating over time the wars with Napoleonic France and the traumas of the twentieth century. This book helps to understand what it is that Leavers are valuing with their loyalty, authority and sense of sanctity. Bringing this perspective up to date is Matthew Goodwin’s and Roger Eatwell’s ‘National Populism: The Revolt Against Liberal Democracy’. This analysis has been written after the Brexit vote and considers the way in which the wave of national populism can be found in many diverse countries, and why it is only going to get stronger over time. The analysis centres on what the authors call the “four D’s”: Distrust of the existing political class, Destruction of communities and patterns of life, the Deprivation that has followed economic disclocation, and the De-alignment from traditional political parties that is the result. I would particularly recommend this book to anyone who thinks that the vote for Brexit in 2016 was the accidental result of anything that happened during the three weeks of the referendum campaign. Paul Lever was the British Ambassador to Germany, and he has written an excellent account of how Germany and the EU inter-relate: ‘Berlin Rules: Europe and the German Way’. I hadn’t appreciated quite how far German thinking had shaped the setting up of EU institutions, such that the Federal structure of Germany is replicated on a larger scale in the EU, and that the inevitable consequence of this is that the EU will become a single state with all that this implies, including a single army. The EU is a thoroughly Germanic project. For a sharper sense of what this implies I strongly recommend a read of Yanis Varoufakis’ ‘Adults in the Room’, which is an account of Varoufakis’ short tenure as a finance minister in Greece, and the way in which a democratic vote in that country was overturned by the EU machinery on behalf of French and German banks. It is difficult to credit the European Union with any moral authority after reading this! So far, reading these books will give a sense and understanding of a general Leave perspective. For an additional recommendation, which would help to understand my own specific point of view, I would recommend Joseph Tainter’s ‘The Collapse of Complex Societies’, which analyses around a dozen different Empires in human history, seeking to account for why they collapsed. In brief, they collapse when a central authority takes more from subject territories than it returns in benefits. I believe that his analysis applies quite well to the European Union – and that the Union will therefore collapse before too long. I hope that it is possible to pursue civilised conversations about the differences between the Leave and Remain perspectives (and I confess to have occasionally added more heat than light to the debate). We are one nation after all. There are so many aspects to the question of a second referendum, and so many potential dangers, but my own view on whether this might be a healthy way forward for our country resolves down to a simple issue: what question will be put to the voters? After all, the plea for a ‘People’s vote’ – because those who voted in the 2016 referendum don’t count as people – begs so many issues. To reduce those complexities to a simple consideration, the question might be either a re-run of the first one, with a view to gaining a different result, or, alternatively, it might be a choice between Mrs May’s ‘deal’ and ‘no deal’. I believe that to pursue the first course would be catastrophic; the second might just enable us to heal as a community, and to move forward. To address the latter first: if the question is about what sort of Brexit to pursue, then there is a clear and binary choice that can be presented to voters, which has integrity and continuity with everything that has happened up to this point. Mrs May can continue to advocate her deal as the best of all possible deals (which might be true) and those who see it as a mare’s nest of capitulation and incompetence will be liberated to argue for a much cleaner and simpler alternative of a ‘no deal’ (whilst also being open about the non-trivial costs that would likely follow such a choice). I would see that sort of second referendum as being healthy – it would bring all our contentious disputes to a single point of decision but would also, and this is most essential, respect the integrity of the first referendum, and thus, by implication, respect all those who voted in the first referendum, including so many who had never voted before. However, in clear contrast with that, if the second referendum is simply a re-run of the first one then the opposite applies. Let us remember that more people voted for Leave in that referendum than have ever voted for anything else in our history. To have that vote, and that decision, put to one side for reasons of administrative convenience at best would be a disastrous breach of trust. It would not solve any problems; rather, it would entrench and exacerbate all of our present disputes. 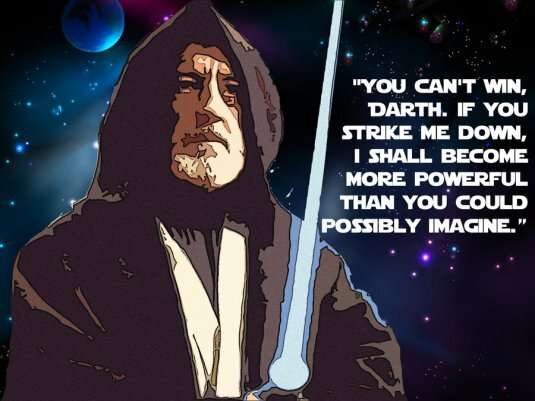 If the second referendum is simply a repeat of the first, then we are looking at a constitutional coup d’état: an issue which was, through Parliament, put to the people with a clear promise that the decision would then be implemented – that decision of the empowered people would then be overturned, along with the results of the last general election (most elected on manifesto promises to implement the referendum result) and the expressed will of the House of Commons (the votes to withdraw from the EU). In no other realm of public activity would we accept the overturning of such a vote. Here some clarity is important. People might argue – rightly – that we overturn previous votes all the time, not least when there is a change of government following a General Election. The crucial distinction which so often seems to be missed in public discussion around a second referendum is that, in all these other contexts, the decision of the first vote is implemented before there is a second vote. So MPs are voted into office, and then take office, and subsequent votes are taken on that basis. So, with a referendum about Brexit, if the vote does not proceed from the basis that we are to leave the EU then we are looking at a major breakdown in our moral, democratic and constitutional norms. If any second referendum contains ‘Remain’ in any shape or form as a potential option, then I believe that the only possible path which might preserve our social fabric is a widespread boycott of such a referendum, thus depriving it of political legitimacy, and affirming the legitimacy of the first referendum. To take part in such a second referendum would mean that we were, by so doing, lending that endeavour authority. We would be saying that we accepted the basis on which the question was being offered. To do so would be like saying, after a general election, that the successful MP in a constituency cannot take office until there is another election to confirm that person in office. Such a path is inconsistent with the best of who we are. 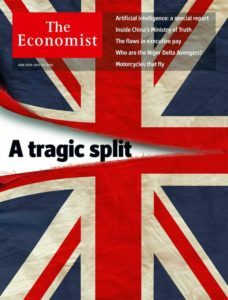 There may well be a time when it is right to put rejoining the EU to the people of the United Kingdom, at which point those in favour of such a path can argue clearly and openly for the federal future that joining the EU means – such clear and open advocacy for the federal future was, after all, notably absent from the earlier referendum on membership of the European Economic Community, and has still never gained the approval of the UK. Yet to get to that point with any integrity, and with any chance of keeping the peace of our society, it has to be done subsequent to our leaving the European Union. That is what was voted for, and that is what has to be implemented. I very much hope that we are not presented with a second referendum which contains the possibility of nullifying the first. If we are, however, the way forward seems clear for all those who are concerned about the catastrophic damage such a strategy would cause to our society. We need to be ready to boycott the betrayal of Brexit. Theresa May has been leading the Brexit negotiations from a position of bad faith. Which is a damning thing to write as an opening sentence, yet seems an inescapable conclusion in the light of the Chequers agreement and the consequent honourable resignations of David Davis and Steve Baker. After all, Davis has been formally responsible for our negotiations with the European Commission as we seek to leave the European Union. It is now clear that Davis’ department – the Department for Exiting the European Union – was deliberately sidelined by May as a team reporting to Downing Street, led by a civil servant, prepared an alternative plan to that which Davis and his team had been working on. The plan that Davis and Baker were working on was one that was developed in good faith. It was based upon the Lancaster House speech that Theresa May gave in January 2017, in which she explicitly sought to regain control over our own laws as a result of the referendum – Brexit meant Brexit at that point. Yet at the same time as those with formal responsibilities for developing our position were working openly, May was fostering a clandestine document (well, clandestine to Davis and Baker, it was shared with Angela Merkel in advance of being shared with the Cabinet). This is bad faith. Why did Theresa May follow such a path? I do not believe that she is an instinctively bad or dishonourable person, so where can we identify the causes of such underhand behaviour? I believe that the answer is found in a simple word ‘establishment’. There is, after all, an immense bureaucracy which is the ‘continuing state’ in our government. Most of these voted to Remain in the EU, for that is the environment in which they have been formed, and on which, in many cases, their careers depend. These establishment attitudes are buttressed from outside by all the other seemingly permanent fixtures of the British political landscape, from the Financial Times to the CBI. As Jacob Rees-Mogg has put it, the establishment considers the vote for Brexit to have been a terrible mistake, and has therefore put all of its efforts into seeking to minimise the consequence of the decision taken by the British people in the referendum. This is a path to disaster. There is no benefit to be found in seeking to split the difference between the referendum vote and the inertia of the establishment. That leads us to the worst of all worlds – even Peter Mandelson agrees with that! The Chequers agreement compromises in too many ways, leaving the UK as a ‘rule taker’ and implicitly under the suzerainty of the European Court of Justice. In this scenario, Brexit simply doesn’t mean Brexit. Imagine an animal caught in a trap. The animal can stay caught, or the animal can seek to sever it’s own limb and escape. What makes no sense is to apply medical methods to minimise the direct impact of the trap upon its flesh, to pretend that nothing has happened, that the trap falling upon its limb was simply an illusion that can be wished away. Our governing establishment was caught in a trap sprung by the referendum vote. The only coherent and rational responses to such a vote are either: to explicitly repudiate it and overthrow it through non-democratic means, accepting that this would irrevocably destroy British democracy – or, to sever the wounded limb and act with freedom, accepting the losses to establishment interests. That the establishment has not done so, that it has chosen instead to meekly submit to the framing of all the issues in terms set by the European Commission, represents the most colossal failure of imagination in our governing class since the ill-advised venture into Suez in 1956. It is into this failure of imagination that Theresa May has been seduced, and it is this that will destroy her, unless she is somehow brought to a realisation of her peril. After all, it is not that we are short of visions of how life in our country might proceed outside the European Union, visions that are realistic and joyful, that act in harmony with our deepest instincts and traditions. The referendum was an expression of the most profound animal spirits of our national life. 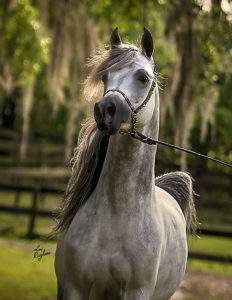 Imagine a stallion that has been put to work in the fields, that then catches the scent of a mare in season. The farm-hand is desperately trying to keep the stallion tethered, and the stallion doesn’t quite know what it is that has filled his nostrils – but he has begun to recognise that there might be more to life than pulling a plough. 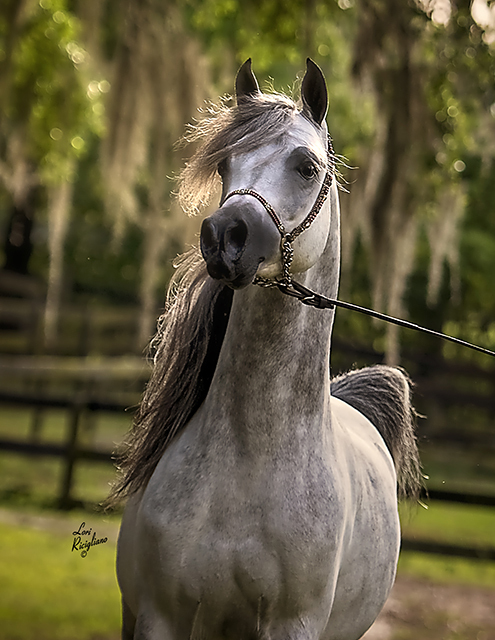 We are the stallion, and the establishment is the farm hand – and the farm hand needs to be placed upon his backside sharpish. We are not a people that sit comfortably with rule from a foreign power, and the original sin of Ted Heath’s referendum campaign in the 1970s has led us directly to the situation that we are in now. We will not be able to move forward unless we act honourably, in good faith, with a well-ordered imagination oriented towards our future. Some Brexiters – Michael Gove the most notable – think that the Chequers agreement is the best that can be achieved at this point in time. His horizon of calculation is the current composition of the House of Commons, where there is no majority for the harder, or I would say cleaner, forms of Brexit. This is despite the fact that 80% of MPs campaigned on the basis that they would respect the result of the referendum and implement it; and, more significant, the fact that over 400 constituencies have a leave-voting majority. I believe that it is a profound mistake to act on the basis of what parliament may or may not approve – parliament needs to bend before the choice made by the British people. If the Conservative party sticks with this approach – that is, if the parliamentary party preserves Theresa May in power and she clings to this establishment compromise – then it will split, and rightfully so. Then, within a few years, a government will be brought to power that fully embraces the spirit of Brexit. If the conservative party doesn’t do so, another party will replace it. The governance of Britain will be inherited by the first party to fully embrace the spirit of Brexit, the first party that keeps faith with the choice made by the British people, the first party that is willing to lead our imagining of a better future. We have witnessed scenes of appalling devastation in recent weeks as a sequence of hurricanes has caused havoc in the Caribbean and Gulf of Mexico. First Hurricane Harvey dumped vast quantities of rainwater on Houston; then Irma flattened many islands; now, at the time of writing, Maria has blasted Dominica and Puerto Rico. In the face of such damage and suffering there are many arguing that there is a link with global warming. The Guardian, for example, carried a column by Bill McKibben comparing these hurricanes to the time when a long-time smoker starts coughing up blood – it is not that there will be bad consequences of our choices in the future, rather, the bad consequences are here, now. The underlying point is that our human activity has caused this bad weather. There is one straightforward sense in which this is true, which is that if the climate is getting warmer (which it is) then there will, over time, be more energy available to produce these hurricanes. Yet this argument, especially when compared to the link between smoking and lung cancer, runs together arguments that should remain separate. The first way in which it misleads is that it is not known how far the amount of warming that the climate is experiencing is being driven by natural variability rather than human activity, something which is known as ‘climate sensitivity’. There are different estimates for this, which are being adjusted regularly as the science evolves. At present, the best estimate for the human element – that is, what might be attributed to a doubling of the amount of CO2 in the atmosphere – is around 1.5°C. (Source) It should be noted that this is much less than is claimed by what might be called the ‘alarmists’, and is difficult to pick out from the natural variability of the climate. The second way in which this misleads is that it makes the science of hurricanes rather more simple than it actually is. The heat of the water is not the only factor that can lead to more intense hurricanes. This year it would appear that a significant factor is the very low amount of ‘wind-shear’ (cross winds) that would normally work to lessen hurricanes but this year has had the opposite effect. There is no clear link between wind-shear and global warming. In simple terms, when someone like McKibben makes the comparison with cancer caused by smoking he is distorting the truth. Sadly, McKibben is not the only one. Whenever in recent weeks I have read an article about the hurricanes that claims some attribution to global warming caused by human industries I think about all the times that green writers complain about people, noticing snow outside, and saying ‘so much for global warming’. The plural of anecdote is not data, they say, and this is true. Just because it is snowing in England does not, of itself, invalidate a broader climate shift. The same is true for hurricanes. Just because we have had a bad hurricane – or even a bad hurricane season – this does not, of itself, signify a climate shift. There would need to be a sustained pattern of change before we can confidently say that there is a phenomenon that needs explanation, let alone agree on what the explanation might be. If we look at the last ten years, we can see that there has been no rise in the number of hurricanes in the Caribbean. My real worry is that, by placing so much emphasis upon global warming in their general advocacy, the green movement has built their house upon sand – and when the rains and the storms come, that house will fall down. What I mean is that the green movement has really emphasised global warming as the problem that dwarfs all other problems. In doing this they have done two things: hitched their wagon to science, and a science that is not especially robust; and put to one side the much richer insights that previous generations of green thinkers have pursued. What I have in mind are the wider, more spiritual aspects of green thinking, as best exemplified by someone like EF Schumacher and his ‘Small is Beautiful’. If we reflect upon what it means to be human, and what gives value to our lives, then we will be less concerned to fill our lives with more and more stuff, and more concerned to ensure that our natural environment is kept healthy, so that we in turn might remain healthy too. We would seek patterns of human living that emphasise a respect for all creatures, including other human beings in all their diversity – and be willing to protect our own elements of that diversity too. We would by more fully aware of all the diverse ways in which we are hitting the Limits to Growth – which, in contrast to climate science, has models that have been vindicated over time – and we would seek to tread lightly on the earth, in harmony with the natural rhythms of this wonderful world that we live in. We will, most of all, regain a much healthier understanding of the place of science within a wider and wiser understanding of our lives as a whole. Such an approach would, I believe, have much more resonance than one that has become absorbed into a technocratic and bureaucratic juggernaut that has left concerns for basic truth behind (for more on why, see the jaw-dropping exposé of the IPCC process written by Donna LaFramboise). People have a good, stout sense of when someone is talking rubbish to them. Sadly, the green movement has been rumbled on this point, and talk about global warming is now tuned out. The cost for this is immense. The green movement has something essential to contribute to the national conversation, at scales both small and great, yet their over-investment in one particular ecological scare has meant that their voice has been eclipsed, and a generation of activism has been wasted. I would respectfully suggest that, if the green movement wants to make more headway in our present society, they need to stop talking about global warming for a while. I write this article a few days after the latest terrorist atrocity in Manchester, and I wonder what is the right word to describe what has happened. Clearly there is a link between this barbarity and previous barbarities in Stockholm and Paris and Nice and Westminster and Florida and the rest. Should they be called ‘Islamic terrorist acts’? I would say that there is a lot of justification for doing so, for such acts draw upon a long tradition within Islamic thought going back to Muhammed himself. To do so, would, however, open myself up to all sorts of problems that might make my main points irrelevant; or, if not irrelevant, at least unheard. For as soon as the word ‘Islamic’ is deployed in this context, then the clouds of politically-correct opprobrium descend, accusations of Islamophobia and fascism are made, and all rational considerations depart. Yet this is also why the police force in Rotherham turned a blind eye to the systematic child abuse perpetrated by those of a particular community in that town. They were afraid of being called racist. As a result thousands of girls suffered horror. Perhaps the only courageous path is also the only honest path – we have to start using the most accurate language to describe the problems that we face. In Manchester, as with Westminster and all the other atrocities, what we face is a form of Islam. How might we engage with and overcome such a problem? There is a tightrope here that we must walk across with great care. 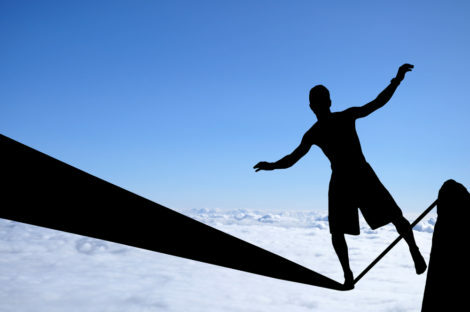 The recent election in France, to my mind, portrayed the two sides of the tightrope, each one representing a fall into the abyss, two equal and opposite catastrophes. The first catastrophe is Macron, representing an unfettered globalism, where nation states are simply inefficiencies to be overcome by technocratic capitalism. Human beings, both individually and as persons bearing particular cultures, are simply resources to be deployed in the great march towards making more money. Such an approach is both dehumanising and ecocidal, a last flourish for the 1% before the deluge. Yet Le Pen also offered a catastrophe, one of dehumanising nationalism coupled with a near-imbecilic economic policy. Human beings, when threatened, have a long-studied tendency to scapegoat others when confronted with challenges to their well-being and their world-view. When all that has been held sacred by a community is laid waste, and insult is added to such injury by the suppression of truthful discussion, then the subsequent anger seizes upon the closest available victims on which to vent their furies. The Macron catastrophe leads to an abolition of meaning, where all are dehumanised in order to worship Mammon. The Le Pen catastrophe leads to a moral collapse, where all are dehumanised in order to worship a reactionary fantasy. There is a tightrope to be walked between these two options, and we cannot walk upon that tightrope without an honest and truthful account of what is actually happening in our society. Which means, to my mind, that we have to speak openly about several things. The first is that we have to say that there is a problem with the Islamic community. It does not affect the whole community but it does represent a significant part – a part which is convinced of the inferiority of Western ways of life, and the need to attack such ways using violence. There needs to be an honest conversation about the roots of such attitudes within broader Islamic patterns of thought. Without this discussion, without this ‘bringing to light things now hidden in darkness’, the control of this conversation simply passes to the most extreme voices, and that serves nobody’s best interests. We also, however, need to talk honestly about the nations, about England and Britain, and about what it means to become a part of such a nation. Much of the contemporary secular mentality is premised on the notion that nations are, as such, obstacles to be overcome in the pursuit of a better life. This doesn’t just apply to economics, where the expansion of ‘single markets’ reduces the role for national governments in order to maximise profits. Rather, the nation as a source of stability and identity, a focus for loyalty and thereby a ground for community cohesion, needs to be affirmed explicitly and confidently by the whole range of our leadership. Lastly, we need to talk about religion. Most especially we need to understand the way in which discussion of religious issues in our society are bedevilled by our own peculiar history. We need to understand that our professed ‘enlightenment’ and release from traditional religious beliefs has served merely to blindfold and handcuff us in this present crisis. Without a coherent understanding of the role of religion within our national life, and most especially within the life of those who wish to destroy our culture, we will forever be compelled to robotically reiterate moronic mantras like ‘this has nothing to do with Islam’ and we shall suffer the inevitable consequences. We are so much better than this. We need to avoid such politically correct platitudes that avoid addressing our crisis; we also need to avoid all forms of scapegoating and victimising that pretend to wash our hands of any role in what has gone wrong. Rather we must engage forthrightly, honestly and courageously with our present predicaments, naming truthfully what is presently happening and yet not collapsing into a reactionary fantasy seeking a restoration of what has been. We have a tightrope to walk. It is a tightrope made of truth, a tightrope that leads to a hopeful future for all who live in this land, where all give their active consent to a form of life that preserves the peace between all our communities, where we no longer fear to wake up to headlines announcing yet another slaughter of the innocents. May our political leaders find their proper balance as they seek to carry us across the abyss. 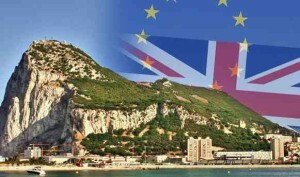 So the EU have thrown the future of Gibraltar into the Brexit negotiations. What a googly (curve ball for readers from across the pond). 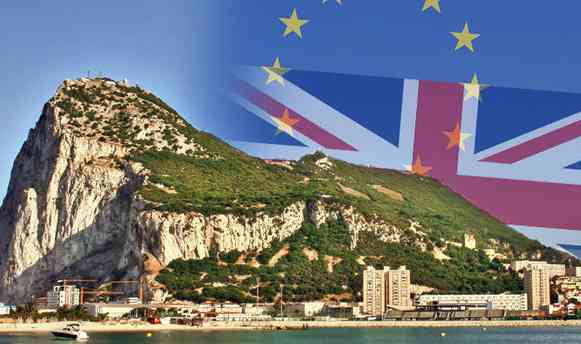 I trust that the British government will not give any ground on Gibraltar’s sovereignty – how to revive UKIP in one easy move! If there is a mutually satisfactory and fully agreed settlement between the EU and Britain within the next two years then I will see it as a contender for the greatest diplomatic triumph in human history. Theresa May would deserve any and all accolades that would come her way. Which is another way of saying – this is very unlikely to happen. To agree a trade deal with the EU – who don’t have a good track record of agreeing free trade deals – alongside settlement of bills and agreements on defence co-operation and all the rest of it – and then to get that deal agreed in each of the 27 nations (including sub-nation elements like Wallonia) – and to get the substance agreed within the next 18 months (so that there is time to get it legally ratified before the deadline kicks in) – I can’t see it happening. Which means we need to start actively planning and preparing to shift to trading with the EU on the basis of WTO rules (which is what the United States does, for example). This doesn’t actually worry me. I see this as being a much greater shock in the short-term, but probably much better for our national future, and economy, in the long term. Let’s get on with agreeing trade deals with the Anglophone community, India and Africa – there’s a very big world out there that we can now start playing in. It will also add to the pile of burdens on the existing EU. Will it cause a final collapse? Probably not – but at some point there will be a straw added to the camel’s back. Britain is, at least, getting a head start on learning to live without the EU which will hold us in good stead and help us help other nations pick up the pieces when the collapse comes. I write these words the day after the horrific terrorist atrocity in Westminster. Khalid Masood was a person who subscribed to a militant form of Islamic thought. As such, the attack on the civilians walking along Westminster Bridge fits with the pattern of other recent ‘attacks-in-the-name-of-Islam’ in Berlin and Nice. Even more than this, surprise attacks – which the attack in Westminster certainly was – are explicitly forbidden. Does this mean, then, that we can share in the liberal consensus as articulated by Western leaders like George W Bush and trust that Islam is a religion of peace? That those who commit ‘attacks-in-the-name-of-Islam’ simply do not understand what it is that they are claiming to protect? I believe that the situation is more complex than this and that British Muslims are slowly being impaled upon a painful dilemma. Given that bin Laden was scrupulously trying to keep to Islamic law and theology, how could he come up with such a conclusion? His answer, when pressed on this, was to say that killing of innocent lives was legitimate if it was understood as retaliation for the killing of innocents by the United States. The Koran is quite clear that proportionate retaliation is fully acceptable, surah 2.178 stating “O believers! retaliation for bloodshedding is prescribed to you: the free man for the free, and the slave for the slave, and the woman for the woman”. There is therefore a debate within Islam about whether bin Laden and those who have followed in his footsteps are in fact theologically justified to apply the rule of retaliation to the question of murdering innocent civilians. It is surely beyond dispute that the United States and its allies (including the United Kingdom) have been killing innocent people across the Middle East, most recently through the extensive use of drones. 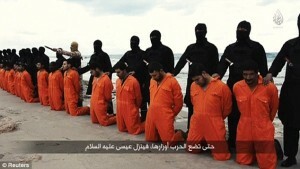 Where this situation obtains, what is the response of a faithful Muslim to be? 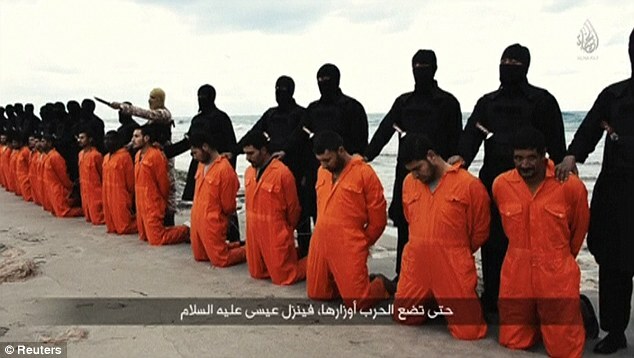 Some Muslims believe that bin Laden is not justified in applying the rule of retaliation in this situation, some do. Within Britain, according to the most thorough recent survey (ICM for Channel 4, April-May 2015) some 4% of British Muslims believe that it is acceptable to use terrorism for political ends, including suicide bombing. This works out to around 100,000 people. Khalid Masood was one of them. The dilemma that British Muslims face is that the theological debate is not some abstract matter without practical consequence; rather it is one that will govern their relationship with the wider British society. Moreover, the need for that community to make a very clear decision and act on it will only become stronger over time, as more and more terrorist atrocities take place. If we wish to fully address the problem of our home-grown terrorism we need to be much more robust in the assertion of our values. That will mean saying that some values are better than others, and therefore some belief systems – those systems through which values are taught and embodied – are better than others. We cannot combat terrorism without a vigorous reassertion of our own inherited beliefs and values. Ultimately, that means Christianity. It is a sign of the painful nature of the dilemma facing British Muslims that the peaceful majority will only be able to root out the violent minority if the wider community becomes much more devoted to a non-Islamic faith.